Aubrey Logan is an award-winning artist with vocals that range from deep and electric to delicate and vulnerable. Winner of the top vocal competitions at the Montreux Jazz Festival, she breaks traditional genre barriers by combining jazz vocals with R&B, neo-soul, pop, and a touch of rock. Aubrey has performed on several national television shows including a stint on American Idol, an appearance on The Goldbergs, Jools Holland and with Pharrell Williams at the Grammy Awards. 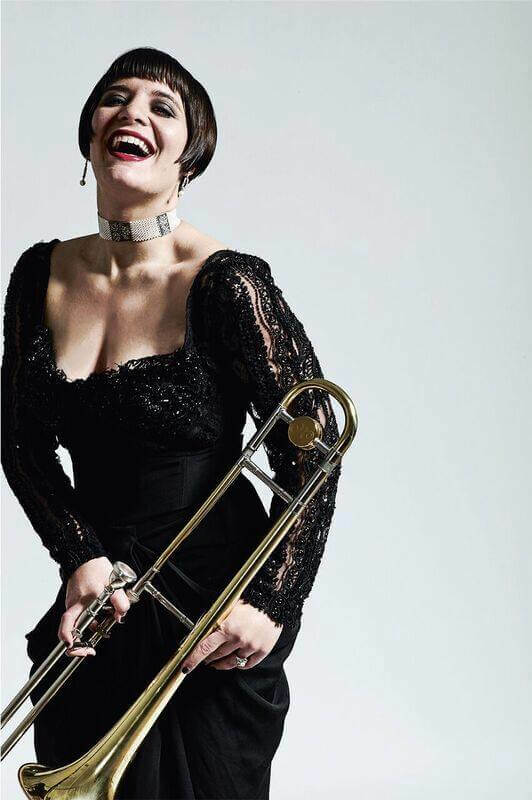 A recent guest on the Jimmy Kimmel Show, she’s spent the last two years touring around the world with Postmodern Jukebox, where she’s featured nightly in front of thousands of fans, have performed in over 150 shows from The Greek Theatre to Radio City Music Hall and has made appearances in over 30 European cities from London to Moscow. To top it all off, Aubrey just completed taping a PBS special with Postmodern Jukebox. Her YouTube videos get millions of views and she’s just released “Impossible”, her first full album of songs that reflect her inimitable, fun and quirky style.